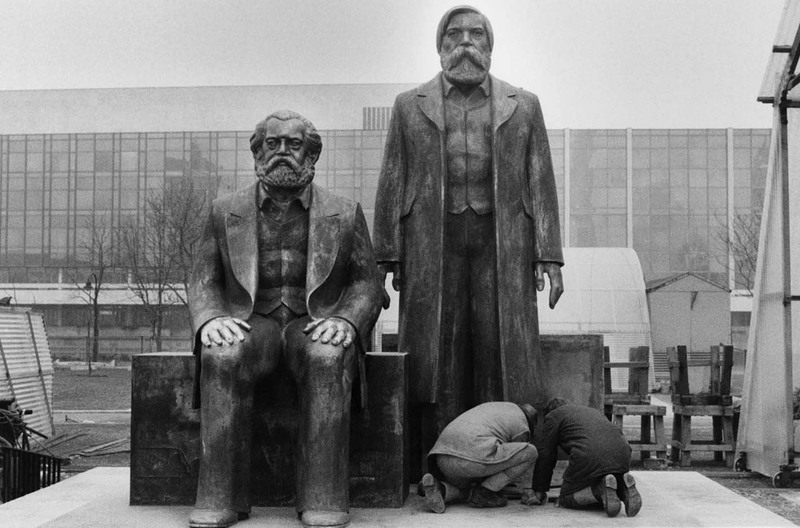 The reputation of Friedrich Engels has often not fared well in the Marxist tradition. At a minimal level, he is regarded as the lesser intellect in relation to Marx, while more commonly dismissed as one who seriously distorted Marx’s thought and thereby derailed the subsequent socialist tradition. According to this assumption, not only did he make a mess of his editing work, after Marx’s death, with the second and third volumes of Capital, but he also distorted the later tradition by means of his ‘Dialectics of Nature’ and his very popular ;Anti-Dühring’ and ‘Socialism: Utopian and Scientific’. The fact that the latter two works were by far the most influential in the generation that followed Engels only makes his influence even more detrimental – or so the castigation of Engels would have us believe. Here is, it is argued, a simplistic and mechanical Marxism, with the dialectic becoming an objective unfolding of the stages towards communism. Know what the stages are and you have the key to history, if not nature itself. All this is supposed to be ‘scientific’ Marxism. With this distortion of the tradition, it is no wonder that those dependent on Engels – Lenin, Stalin and so on – betrayed the true spirit of Marx’s own thought. This assumption is common among the many different strands of Marxism, from Europe, through North America and China, to Australia. Here I would like to challenge that assumption, a challenge based on extensive study of Engels for my book, Criticism of Earth. I begin with a characterisation of Engels himself, before moving onto his collaboration with Marx and then Engels’s own unique contributions. Perhaps the most appealing aspect of Engels is that he knew how to relax and enjoy himself. I think not so much of his love of fine tobacco, wine and women, but of his physical prowess – swimming, horse-riding, hiking long distances and so on. 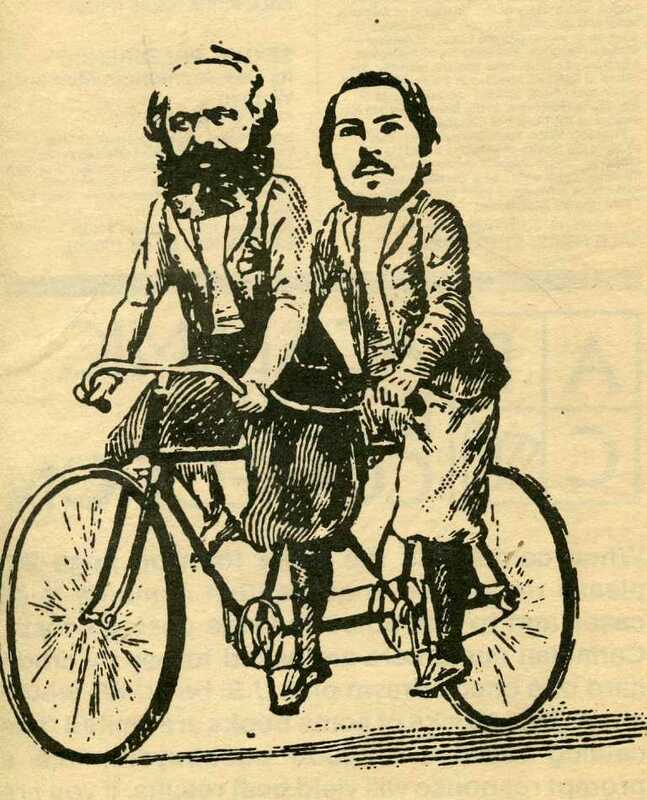 Indeed, Engels had to remind Marx to get some fresh air and exercise instead of sitting on a broken chair at a worn desk in order to write – advice that Marx took rarely and only when he was older. In reply to a series of questions in the younger Jenny Marx’s notebook, Engels wrote: ‘Your favourite virtue – jollity; Motto – take it easy’. No wonder he lived to a good age. This disposition also enabled Engels to keep the whole Marxian project afloat, setting himself to work in the family firm of Ermen and Engels in Manchester for almost 20 years until 1870. The firm’s cash flow was partially redirected to the Marxes in London, which kept them from being thrown out into the street. On his father’s death, Engels had the right to demand an equal partnership with the Ermens, but opted instead to be bought out for the sum of £12,500, or approximately $2.5 million in 2014 figures. But Engels did not rest there, investing in the stock market with his characteristic insight and decisiveness so that he left on his death a portfolio of £26,400 upon his death (more than $5 million). This money supported swathes of socialists and socialist causes for some time to come. I have written elsewhere concerning the contradictions of a socialist making extensive use of capitalism to further the cause, suffice to point out here that it would not be the last time a socialist used his wealth to support the movement, and that Marxists should know better than anyone how capitalism can be worked to their advantage. What of Engels the writer? While Marx may have been dense, convoluted and intense, Engels writes with a clarity and structure that is a delight to read. At times, he may have written too quickly and too categorically, but, at other times, his texts simply sparkle. I have read his accounts of the walk from Paris to Berne in Switzerland many times, the travel notes on Sweden and Denmark, his glorious description of the cotton-bale that passes through so many handlers and merchants (swindlers) before reaching Germany, his incisive analyses of the Crimean War and the Hungarian Uprising, or his exuberant letters full of comments on smoking, drinking and women, or indeed his continuous doodles, portraits and battle scenes. His abilities with writing extended to linguistic skills as well. He knew languages well and could write in German, English, French, Spanish, Italian, Portuguese, Danish, Dutch and Frisian, and could manage texts in Russian, Bulgarian, Romanian, and even the occasional item in Devanagari or Sanskrit, as well as classical Hebrew. At the Gymnasium, he became adept at classical and biblical Greek, and was able to read the New Testament in its original language. With this writing style in mind, a careful reader of those texts is soon able to determine the hand of Engels in the joint works. Let me take as one example, among many, ‘The Manifesto of the Communist Party’. The clarity of its structure and indeed the vivid and direct style is heavily reliant on Engels. In 1847, Engels wrote two drafts, modelled on a theological catechism or confession of faith and drawn from Engels’s own religious upbringing. They use a question and answer format: ‘Are you a communist?’ begins the first, which is explicitly called ‘A Communist Confession of Faith’; ‘What is communism?’ opens the second and more polished version, ‘The Principles of Communism’. In clear and easy-to-read format, we find definitions of the proletariat, the bourgeoisie, division of labour, the crises of capitalism, class struggle, revolution and what communism hopes to achieve. This clarity too we find in the ‘Manifesto’, although now with Marx’s contribution to Engels’s initial drafts. A practical feature of their collaboration adds to the picture. It is often forgotten that Marx and Engels worked together in such a way that it is often difficult to separate their ideas. After they first met in 1844, they came to correspond regularly when they were not physically together. This correspondence became even more frequent after Engels settled in Manchester and the Marxes in London. 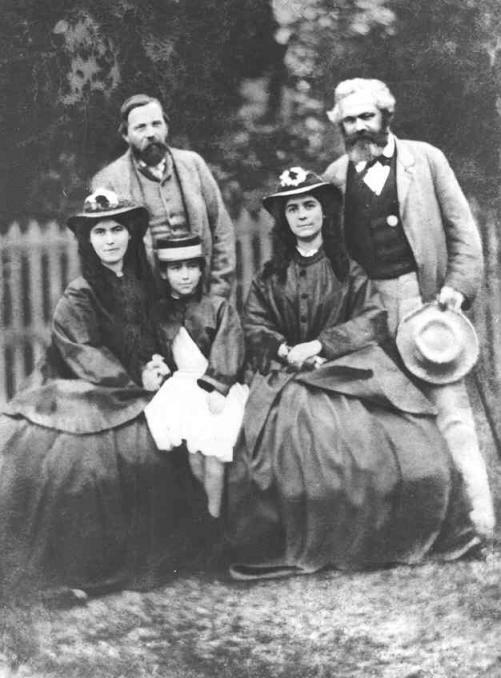 Each day the Marxes would wait impatiently for the postman to arrive in order to see what Engels had written (and whether money was in the envelope). And when Engels was finally able to divest himself of responsibilities at the family firm in Manchester and settle in London in 1870, the two would meet daily in the afternoons. Their endless discussions took place while pacing Marx’s study. Engels smoked his pipe and Marx his cigars, as they downed coffee, or – more often – glasses of beer. They would start in different corners and then stride towards the middle, where they crossed and ended in their respective corners, only to repeat the process countless times. Soon enough their endless pacing left marks on the floor. In this context, nearly all of their ideas were shared. If one or the other had come up with an idea, he would test it on the other for comment, and then the discussion would delve deeper. At times, Engels wrote pieces for Marx when the latter was pressed, especially for the New York Daily Tribune. At times, their works were published with both of their names; but even when not, the influence of the other shows through. Yet, so often we find that even a joint work is attributed solely to Marx, with Engels’s vital contribution quietly slipping out of view. Let me focus more closely on Engels’s theoretical contributions to the Marx-Engels project. Three of those are discussed here: Engels’s important articulations of the relations between the military and social formations; his early works on political economy; and his arguments concerning the revolutionary role of religion. The first I can sketch out briefly, while the second and third require a little more space. In 1842, Engels volunteered for the 12th Foot Company of the Guards Artillery Brigade in Berlin. Here the youthful Engels found a way to channel his impetuosity into an ability to assess a situation and act decisively. Later, in 1848 he volunteered to join the revolutionary armies of Elberfeld and Barmen and then those in the Palatinate and Baden. But his real skill emerged only when he became a war correspondent. Beginning with assessments of the military operations during the revolutions of 1848–1849, with a particular focus on the Hungarian Revolution at the time and the brilliant leadership of Lajos Kossuth, he later assessed the Crimean War, the Franco-German War, the Indian uprising against the British and so on. The pieces are clear, well-written and quite enjoyable. With a distinct skill in strategic matters, Engels had a way of foreseeing developments before anyone else, and of being justified time and again. On reading these pieces, I found myself looking forward eagerly to the next despatch. Finding his niche, Engels moved beyond his initial concern with campaigns and battles, to focus on the nature of armies across Europe, training, equipment, uniforms and so on. More importantly, Engels also wrote extensively on the reorganization of revolutionary armies. He argued that a revolutionary who neglects the state and discipline of his army does so at the peril of the cause, and that any revolutionary act requires swift and bold action along with a good army. He also argued that the nature of the military is a good indicator of the nature of class and social formation in a society at large. In this light, he pushed for a militia drawn from the whole population as the best form for communist society, argued for the vital role of guerrilla warfare, and saw the value of even the clergy becoming involved in such militias and guerrilla warfare. These texts formed a body of unique work, which were to come into their own some time later – with the Russian Revolution. Lenin, Stalin and other Bolsheviks delved into Engels’s works after the 1905 revolution, when the Battleship Potemkin mutinied in favour of the revolutionaries. Initially caught by surprise with such an event, it dawned on the socialists that the armed forces were crucial to the revolution. Even more, it led them to begin forming the famous Red Guards, workers trained in the strategies and tactics of guerrilla warfare. Again, it was Engels to whom they turned. No wonder his nickname became ‘The General’. The second major contribution concerns political economy, a contribution that has been much studied and debated. So in this section, I draw on some of the insights from those studies, especially in the way Engels’s first period in England (1842-44) led to his incisive pieces on political economy and the empirical and theoretical ‘discovery of the proletariat’. Engels’s genius was to translate the extraordinary paradox of English backwardness (in terms of politics and society) and forwardness (in economics) into a German philosophical idiom. The key becomes contradiction, understood in terms of the dialectic and materialised in a spate of oppositions. I have already mentioned the tension between the advanced forms of capitalism in England coupled with its chronic backwardness, which also accounted for its undeveloped intellectual and cultural life. But many more contradictions appear in Engels’s pages: division of labour, class, competition, wage-labour and capital, pauperization and concentration of wealth, the social and the economic, objective and subjective, and then the necessary process of intensification and the simplification of the dialectic on a revolutionary register. Thus, in ‘Outlines of a Critique of Political Economy,’ Engels counters the moral framework of Adam Smith’s benign view of the ‘market’, by arguing that capitalism entails not the gradual emergence of its true form and thereby national wealth, but rather a fundamentally antagonistic relation that grows ever stronger. For Engels, the English economists simply miss the antagonistic nature of all that they touch. ‘Division of labour’ is not a glorious development, but the basis of class and class conflict between wage-labour and capital. ‘Competition’ does not lead to the desirable outcome of lower prices, but to struggle and crime. ‘Free trade’ means new forms of monopoly, despotism, violence and degradation. ‘Private property’ means the appropriation of wealth and the pauperization of those who miss out. ‘National wealth’ is anything but national, for it is held increasingly in the hands of the relatively few capitalists, while the mass of workers are excluded: ‘The “national wealth” of the English is very great, and yet they are the poorest people under the sun’. Engels goes much further on a number of points. The chronic instability and crisis-ridden nature of that socially-determined market emerges in his writings, along with the role of the reserve army of the unemployed in the spiral of crises, the falling rate of wages and thereby standards of living, an articulation of the concentrations of capital, and an awareness of the influences of technological change in response to this self-destabilizing nature of capitalist economics. Further, the ‘market’ in question is not an entity unto itself, ideally operating in terms of laissez faire, but is rather socially determined – with a distinctly humanist tone – so that the revolution to come will be a social revolution. Even more, the materialist realities of social dualism cannot be understood without the ideological features of consciousness that are manifested in classes. The ideological and the social may be based on the material, but they are then transformed into instruments that will realise their own material aims. The dialectic, of course, has its own dynamic, in which antagonisms must be exacerbated and then simplified into two great warring camps through a spiral of crises, before the resolution of the antagonisms. Here the first implicit articulation of objective and subjective factors in revolution emerges. As the tensions grow and the socio-economic conditions ripen, the working class becomes unavoidably conscious of its mission and engages in the confrontation. But who is the working class? Here ‘The Condition of the Working-Class in England’ is crucial, not so much for its first-hand detail of the barbaric conditions of the Manchester working class districts (revealed to Engels under the guidance of Mary Burns), but for its theoretical innovation. The key is twofold: to understand the proletariat in terms of its enemy and to see it transformed into a movement. On the first point, the proletariat comes into being through this opposition, which is generated not only by the objective economic conditions of capitalism, but also by the sense of who the bourgeoisie is and why the bourgeoisie is an implacable opponent and oppressor. In doing so, Engels transforms the older characterisations of conflict in terms of ‘race’ (Celts versus Anglo-Saxons, Saxons versus Normans, ‘British’ versus Irish) into one of class war. The bourgeoisie, Mittelklasse or middle-class, is implacably opposed by the working class, like two opposed camps or armies that must come to open battle. Second, the working class moves from being an empirical reality to a workers’ movement. This entails subjective resistance to intolerable conditions: ‘The workers, the great majority of the nation, will not endure it’. This rebellion against the class enemy may initially take the crude form of individual ‘crime’ against the oppressors, but soon enough it is transformed into ‘association’. It appears in myriad forms: initially ‘secret’ and then the hard-won right to ‘free association’; in educational activities; in unions and strikes; in the persistent resistance that keeps ‘alive the opposition of the workers to the social and political omnipotence of the bourgeoisie’. The perpetual drive of these associations is to challenge and ultimately destroy competition, which makes the everyday lives of workers a misery. Here the specific and immediate campaigns of workers’ associations – higher wages, less hours, better conditions – are also part and parcel of the future communist society: ‘If the competition among the workers is destroyed, if all determine not to be further exploited by the bourgeoisie, the rule of property is at an end …. The moment workers resolve not to be bought and sold no longer, when … they take the part of men possessed of a will as well as of working-power, at that moment the whole Political Economy of today is at an end’. This pattern of political association is endemic to the nature of the working class, so much so that it cannot help but organise as a class and thereby become unified, drawing together all the different currents of organised resistance. In closing these observations concerning Engels’s early insights, we face a paradox. Engels predicted with absolute confidence that the revolution would first happen – and soon – in England, due to the exacerbation of the contradictions in capitalism and the growth of the working class movements. He was spectacularly wrong, as the repressive measures after the 1842 Chartist uprising came into effect and elements of the working class were bourgeoisified. Indeed, the working class movements had already begun a process of decline at the time he did his research, so much so that they hardly made an impression in 1848 and would take a long time indeed to recover. Yet the paradox is that it was precisely this situation that provided Engels with his crucial insights into economics and the nature of the proletariat, insights that would have ramifications later and in – for both him and Marx – unexpected revolutions. Thus, it is not for nothing that this early work by Engels, especially his ‘Outlines of a Critique of Political Economy’, was acknowledged by Marx as a ‘brilliant essay on the critique of economic categories’. However, it is worth noting that Marx fully acknowledges that Engels ‘arrived by another road’ to the same conclusions. What Marx fails to say here is that Engels did so before Marx in an original way, not least because of his direct experience in the family enterprise and his long residence and research in England. The third original contribution on which I wish to focus here concerns religion and revolution. Engels’s argument, developed over his lifetime, was both simple and surprising: religion (he has in mind Christianity) may become a revolutionary movement. Let us see how he constructs this position. Engels grew up as a devout, if critical Christian. His family was of the Reformed (Calvinist) part of Christianity. Indeed, his mother was of Dutch background, coming from a country – Holland – that was deeply Calvinist in its north. Engels may have been devout, but he was also critical. He saw the many hypocrisies of the people in his hometown (Elberfeld, part of the twin town of Wuppertal). They were, in his eyes, deeply conservative and yet they did not hesitate to exploit people when they could. In other words, they may be pious on Sunday at church, but for the rest of the week they were not so at all. However, Engels also voraciously studied the newest philosophy and biblical criticism, and in the process he found it challenging his faith. He argued with his close but pious friends (especially Wilhelm and Friedrich Graeber) concerning the Bible, theology and philosophy. But in the process of those arguments he gradually realised – painfully – that he was losing his faith. At the same time, he began to notice an ambivalence in Christianity. It could be deeply conservative, opposed to new discoveries in science and philosophy, indeed opposed to new political directions and supportive of the status quo. At the same time, it could also challenge the very same powers in a revolutionary manner. This insight first appears in some of his comments on the minister of his local church, the Reverend F. W. Krummacher. Krummacher may preach some of the more ridiculous theological positions, but at the same time he criticises earthly rulers and riches as undesirable in God’s sight. If Krummacher had been a little more specific, Engels suggests, and criticised the Prussian government directly, he may well have been seen as a religious revolutionary. Indeed, in his younger years, Krummacher was precisely such a firebrand. This insight into the political ambivalence of Christianity would grow over the years. On the one hand, it is not uncommon to find in Engels’s works statements concerning the negative and reactionary elements of religion. He writes that religion is a source of mystification and deception. Sometimes, for Engels the struggle for communism is also the struggle against the evil effects of religion. On the other hand, Engels argues again and again for the revolutionary potential of Christianity. Already in his early twenties, he notes what can only be called a revolutionary Christian tradition, with leaders such as Thomas Müntzer, Etienne Cabet and Wilhelm Weitling. This is the first time he mentions such a revolutionary tradition, and it would become a key element of his later work, as well as the work of Karl Kautsky. Over the following years, Engels would develop this argument further, beginning with a study of the Peasant Revolution in Germany in the sixteenth century. Led by Thomas Müntzer, the direct inspiration of this revolution was Christian theology, or rather, the Bible. Engels’s argument has been deeply influential, not only in the work of subsequent Marxists, but also among biblical critics and theologians. But the crucial question is whether Marx signalled his own awareness of Engels’s position. Late comments suggest that Marx did indeed come to agree with Engels. One example will suffice: Marx compares the persecution of the International Working Men’s Association with the persecution of the early Christians by the Romans. These earlier assaults had not saved Rome, and so also the assaults on the workers’ movement would not save the capitalist system. And what did they find in Engels’s text? I close by focusing on Engels’s summary of the economic discoveries of Marxism (to which we may add his military writings and those on religion). He writes of ‘two great discoveries, the materialistic conception of history and the revelation of the secret of capitalistic production through surplus-value …. With these discoveries Socialism became a science’. As ever, Engels attributes these discoveries to Marx, but they were also very much his achievement. 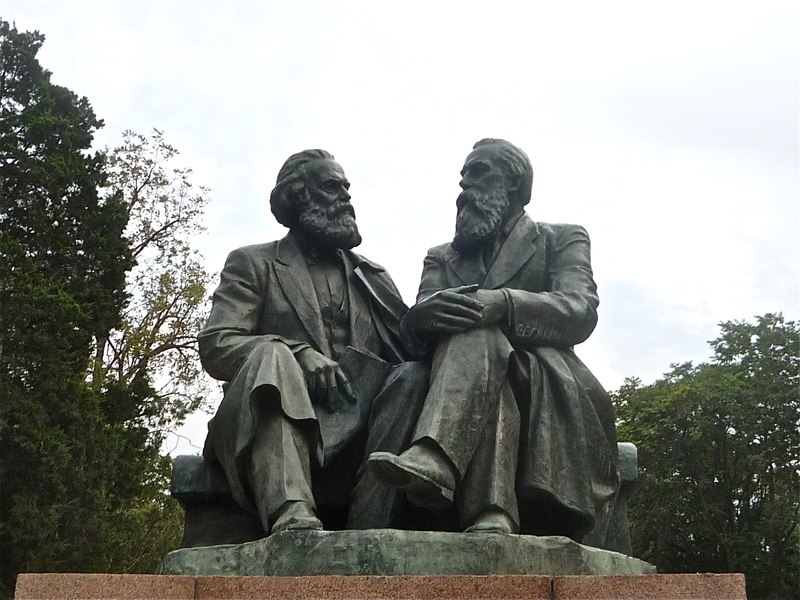 Boer, Roland, Criticism of Earth: On Marx, Engels and Theology (Chicago and Leiden: Haymarket and Brill, 2014 ). —. ‘Engels’s Contradictions: A Reply to Tristram Hunt’. International Socialism: A Quarterly Journal of Socialist Theory, 133 (2012), pp. 195-204. —. ‘Karl Kautsky’s Forerunners of Modern Socialism’. Chiasma: A Site for Thought 1, 1 (2014). Engels, Friedrich, ‘Anti-Dühring: Herr Eugen Dühring’s Revolution in Science’, Marx and Engels Collected Works (vol. 25; Moscow: Progress Publishers, 1877-78 ), pp. 3-309. —, ‘The Book of Revelation’, Marx and Engels Collected Works (vol. 26; Moscow: Progress Publishers, 1883 ), pp. 112-17. —, ‘Bruno Bauer and Early Christianity’, Marx and Engels Collected Works (vol. 24; Moscow: Progress Publishers, 1882 ), pp. 427-35. —, ‘Camp’, Marx and Engels Collected Works (vol. 18; Moscow: Progress Publishers, 1859 ), pp. 262-5. 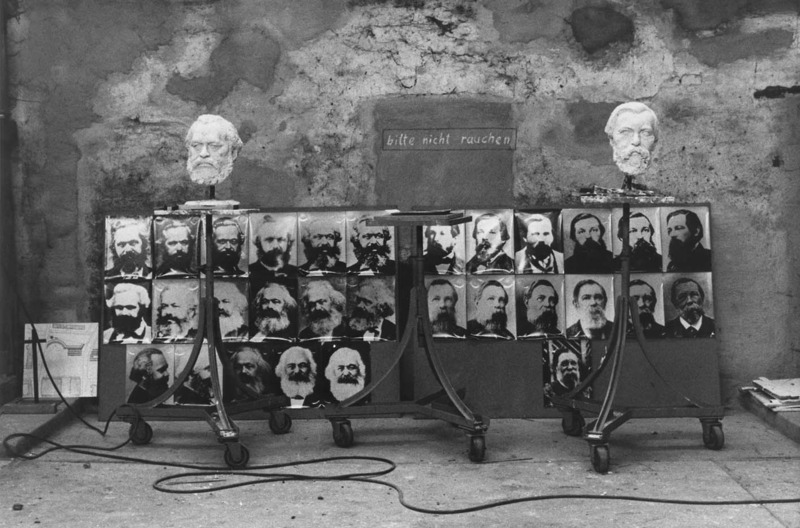 —, ‘Catapult’, Marx and Engels Collected Works (vol. 18; Moscow: Progress Publishers, 1859 ), pp. 266. —, ‘The Condition of England II: The English Constitution’, Marx and Engels Collected Works (vol. 3; Moscow: Progress Publishers, 1844 ), pp. 489-513. —, ‘The Condition of England. I. The Eighteenth Century’, Marx and Engels Collected Works (vol. 3; Moscow: Progress Publishers, 1844 ), pp. 469-88. —, ‘The Condition of England: Past and Present by Thomas Carlyle, London, 1843’, Marx and Engels Collected Works (vol. 3; Moscow: Progress Publishers, 1844 ), pp. 444-68. —, ‘The Condition of the Working-Class in England’, Marx and Engels Collected Works (vol. 4; Moscow: Progress Publishers, 1846 ), pp. 295-596. —, ‘Draft of a Communist Confession of Faith’, Marx and Engels Collected Works (vol. 6; Moscow: Progress Publishers, 1847 ), pp. 96-103. —, ‘The English View of the Internal Crises’, Marx and Engels Collected Works (vol. 2; Moscow: Progress Publishers, 1842 ), pp. 368-69. —, ‘Frederick Engels: Confession, London, early April 1868’, Marx and Engels Collected Works (vol. 43; Moscow: Progress Publishers, 1868 ), pp. 541. —, ‘The History of the Rifle’, Marx and Engels Collected Works (vol. 18; Moscow: Progress Publishers, 1860 ), pp. 433-59. —, ‘How to Fight the Prussians’, Marx and Engels Collected Works (vol. 22; Moscow: Progress Publishers, 1870 ), pp. 104-7. —, ‘The Internal Crises’, Marx and Engels Collected Works (vol. 2; Moscow: Progress Publishers, 1842 ), pp. 370-74. —, ‘Introduction to Karl Marx’s The Class Struggles in France’, Marx and Engels Collected Works (vol. 27; Moscow: Progress Publishers, 1894-5 ), pp. 506-24. —, ‘Letters from London’, Marx and Engels Collected Works (vol. 3; Moscow: Progress Publishers, 1843 ), pp. 380-91. —, ‘Letters from Wuppertal’, Marx and Engels Collected Works (vol. 2; Moscow: Progress Publishers, 1839 ), pp. 7-25. —, ‘Notes on the War – XIII’, Marx and Engels Collected Works (vol. 22; Moscow: Progress Publishers, 1870 ), pp. 71-3. —, ‘On the History of Early Christianity’, Marx and Engels Collected Works (vol. 27; Moscow: Progress Publishers, 1894-5 ), pp. 445-69. —, ‘Outlines of a Critique of Political Economy’, Marx and Engels Collected Works (vol. 3; Moscow: Progress Publishers, 1844 ), pp. 418-43. —, ‘The Peasant War in Germany’, Marx and Engels Collected Works (vol. 10; Moscow: Progress Publishers, 1850 ), pp. 397-482. —, ‘Principles of Communism’, Marx and Engels Collected Works (vol. 6; Moscow: Progress Publishers, 1847 ), pp. 341-57. —, ‘Progress of Social Reform on the Continent’, Marx and Engels Collected Works (vol. 3; Moscow: Progress Publishers, 1843 ), pp. 392-408. —, ‘Prussian Francs-Tireurs’, Marx and Engels Collected Works (vol. 22; Moscow: Progress Publishers, 1870 ), pp. 198-202. —, ‘Socialism: Utopian and Scientific’, Marx and Engels Collected Works (vol. 24; Moscow: Progress Publishers, 1880 ), pp. 281-325. Hollander, Samuel, Friedrich Engels and Marxian Political Economy (Cambridge: Cambridge University Press, 2014). Hunt, Tristram, Marx’s General: The Revolutionary Life of Friedrich Engels (New York: Picador, 2010). Kautsky, Karl, Communism in Central Europe in the Time of the Reformation (trans. J. L. Mulliken and E. G. Mulliken; London: Fisher and Unwin, 1897). —, Vorläufer des neueren Sozialismus I: Kommunistische Bewegungen im Mittelalter (Berlin: Dietz, 1976 [1895-97]). —, Vorläufer des neueren Sozialismus II: Der Kommunismus in der deutschen Reformation (Berlin: Dietz, 1976 [1895-97]). 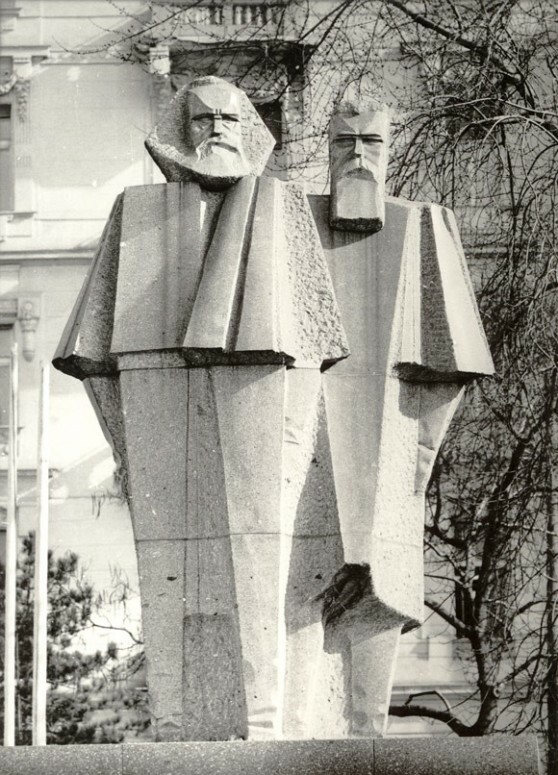 Kautsky, Karl, and Paul Lafargue, Vorläufer des neueren Sozialismus III: Die beiden ersten grossen Utopisten (Stuttgart: Dietz, 1977 ). Kircz, Joost, and Michael Löwy (ed. 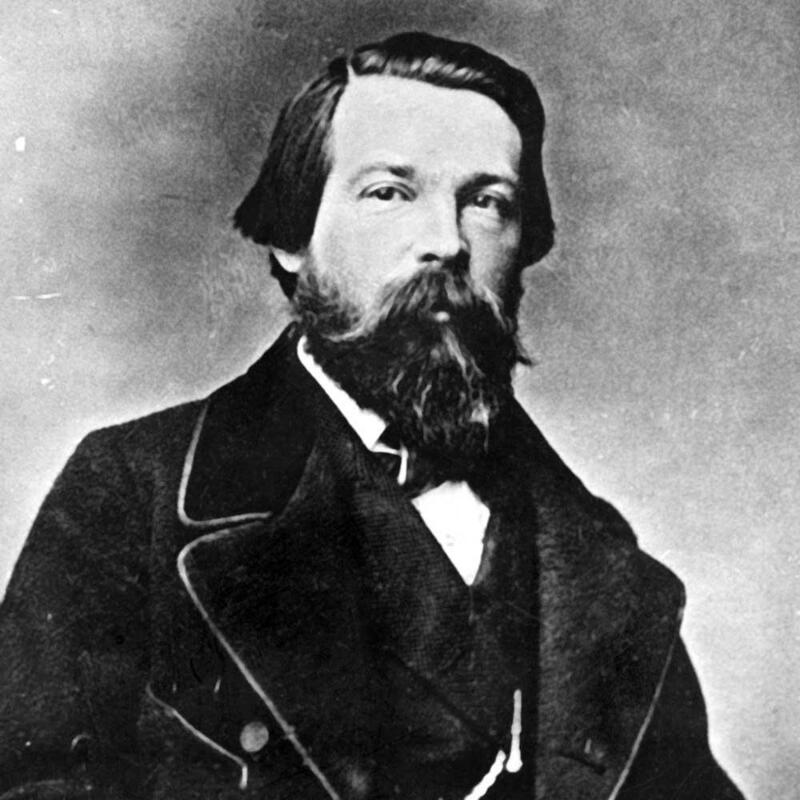 ), Friedrich Engels: A Critical Centenary Appreciation (Science and Society 62.1. New York: Guildford Press, 1998). Kouvelakis, Stathis, Philosophy and Revolution: From Kant to Marx (trans. G. M. Goshgarian; London: Verso, 2003). Lenin, V.I., ‘Between Two Battles’, Collected Works (vol. 9; Moscow: Progress Publishers, 1905 ), pp. 457-65. —, ‘Lessons of the Moscow Uprising’, Collected Works (vol. 11; Moscow: Progress Publishers, 1906 ), pp. 171-78. Marx, Karl, ‘A Contribution to the Critique of Political Economy’, Marx and Engels Collected Works (vol. 29; Moscow: Progress Publishers, 1859 ), pp. 257-417. —, ‘Marx to Ferdinand Domela Nieuwenhuis in the Hague, London, 22 February 1881, 41 Maitland Park Road, N.W.’, Marx and Engels Collected Works (vol. 46; Moscow: Progress Publishers, 1881 ), pp. 65-7. —, ‘On the Hague Congress: A Correspondent’s Report of a Speech Made at a Meeting in Amsterdam on September 8, 1872’, Marx and Engels Collected Works (vol. 23; Moscow: Progress Publishers, 1872 ), pp. 254-56. —, ‘Record of Marx’s Speech on the Seventh Anniversary of the International’, Marx and Engels Collected Works (vol. 22; Moscow: Progress Publishers, 1871 ), pp. 633-34. Marx, Karl, and Friedrich Engels, ‘The Manifesto of the Communist Party’, Marx and Engels Collected Works (vol. 6; Moscow: Progress Publishers, 1848 ), pp. 477-519. Stalin, J. V., ‘Armed Insurrection and Our Tactics’, Works (vol. 1; Moscow: Foreign Languages Publishing House, 1905 ), pp. 133-39. —, ‘The Class Struggle’, Works (vol. 1; Moscow: Foreign Languages Publishing House, 1906 ), pp. 280-88. —, ‘Two Clashes (Concerning January 9)’, Works (vol. 1; Moscow: Foreign Languages Publishing House, 1906 ), pp. 198-207. Steger, Manfred B., and Terrell Carver (ed. ), Engels After Marx (University Park: Pennsylvania State University Press, 1999). Hollander describes the different ways of denigrating Engels in relation to Marx in terms of: operator versus the thinker; vulgar mechanist versus the humanist Hegelian; revisionist versus the brilliant originator; ‘His Master’s Voice’ versus the Master. Samuel Hollander, Friedrich Engels and Marxian Political Economy (Cambridge: Cambridge University Press, 2014), 1-2. See also Joost Kircz and Michael Löwy (ed. ), Friedrich Engels: A Critical Centenary Appreciation (Science and Society 62.1 New York: Guildford Press, 1998); Manfred B. Steger and Terrell Carver (ed. ), Engels After Marx (University Park: Pennsylvania State University Press, 1999). Roland Boer, Criticism of Earth: On Marx, Engels and Theology (Chicago and Leiden: Haymarket and Brill, 2014 ). Friedrich Engels, ‘Frederick Engels: Confession, London, early April 1868’, Marx and Engels Collected Works (vol. 43; Moscow: Progress Publishers, 1868 ), p. 541 (541). Roland Boer, ‘Engels’s Contradictions: A Reply to Tristram Hunt’, International Socialism: A Quarterly Journal of Socialist Theory, 133 (2012), pp. 195-204. See further Tristram Hunt, Marx’s General: The Revolutionary Life of Friedrich Engels (New York: Picador, 2010). Karl Marx and Friedrich Engels, ‘The Manifesto of the Communist Party’, Marx and Engels Collected Works (vol. 6; Moscow: Progress Publishers, 1848 ), pp. 477-519. Friedrich Engels, ‘Draft of a Communist Confession of Faith’, Marx and Engels Collected Works (vol. 6; Moscow: Progress Publishers, 1847 ), pp. 96-103; Engels, ‘Principles of Communism’. The articles begin in Volume 11 of Marx and Engels Collected Works (also Marx Engels Werke, Volume 11, though with fewer items) and continue for many years afterwards. Ever the biblical student, from his devout Calvinist youth, Engels includes occasional reference to the Bible. Examples include the construction of the camp of the Israelites in the wilderness after their escape from Egypt (Numbers 1:2), the walls of Jericho in regard to the siege of Paris in 1870 (Joshua 6:20) and the fact that the Romans used 300 catapults in the siege of Jerusalem in 68–70 CE. See Friedrich Engels, ‘Camp’, Marx and Engels Collected Works (vol. 18; Moscow: Progress Publishers, 1859 ), pp. 262-5 (263); Engels, ‘Catapult’; Friedrich Engels, ‘Notes on the War – XIII’, Marx and Engels Collected Works (vol. 22; Moscow: Progress Publishers, 1870 ), pp. 71-3 (73). Note also ‘“Providence always is on the side of the big battalions” was a favourite way of the Napoleon to explain how battles were won and lost’. Engels, ‘How to Fight the Prussians’, 104. A significant number appears in Volume 18, with articles on ‘Attack’, ‘Bayonet’, ‘Army’, ‘Bivouac’, ‘Cavalry’, ‘Infantry’ and a wonderful item on ‘The History of the Rifle’, written for the intriguing journal called The Volunteer Journal, for Lancashire and Cheshire. Friedrich Engels, ‘The History of the Rifle’, Marx and Engels Collected Works (vol. 18; Moscow: Progress Publishers, 1860 ), pp. 433-59. For instance, see V.I. Lenin, ‘Lessons of the Moscow Uprising’, Collected Works (vol. 11; Moscow: Progress Publishers, 1906 ), pp. 171-78 (176-77); V.I. Lenin, ‘Between Two Battles’, Collected Works (vol. 9; Moscow: Progress Publishers, 1905 ), pp. 457-65 (465); J. V. Stalin, ‘Armed Insurrection and Our Tactics’, Works (vol. 1; Moscow: Foreign Languages Publishing House, 1905 ), pp. 133-39 (136-39); J. V. Stalin, ‘Two Clashes (Concerning January 9)’, Works (vol. 1; Moscow: Foreign Languages Publishing House, 1906 ), pp. 198-207; Stalin, ‘The Class Struggle’, 269-79. The phrase comes from Stathis Kouvelakis, Philosophy and Revolution: From Kant to Marx (trans. G. M. Goshgarian; London: Verso, 2003), 167-231. I follow Kouvelakis to some extent, albeit wary of his occasional Foucauldian tone and distinct theological tone-deafness, as he traces the development of Engels’s ‘discovery of the proletariat’ through the following: Friedrich Engels, ‘The Internal Crises’, Marx and Engels Collected Works (vol. 2; Moscow: Progress Publishers, 1842 ), pp. 370-74; Engels, ‘The English View of the Internal Crises’; Friedrich Engels, ‘Letters from London’, Marx and Engels Collected Works (vol. 3; Moscow: Progress Publishers, 1843 ), pp. 380-91; Friedrich Engels, ‘The Condition of England: Past and Present by Thomas Carlyle, London, 1843’, Marx and Engels Collected Works (vol. 3; Moscow: Progress Publishers, 1844 ), pp. 444-68; Engels, ‘The Condition of England. I. The Eighteenth Century’; Engels, ‘The Condition of England II: The English Constitution’; Engels, ‘Outlines of a Critique of Political Economy’; Friedrich Engels, ‘The Condition of the Working-Class in England’, Marx and Engels Collected Works (vol. 4; Moscow: Progress Publishers, 1846 ), pp. 295-596. See also Hollander, Friedrich Engels and Marxian Political Economy. Engels, ‘Outlines of a Critique of Political Economy’, 421. Note here Engels’s preferred military images of class struggle, drawn from his distinct interest in military matters. This argument appears in the sixth chapter of Engels, ‘The Condition of the Working-Class in England’, 501-29. Engels, ‘The Condition of the Working-Class in England’, 500. Engels, ‘The Condition of the Working-Class in England’, 507. Karl Marx, ‘A Contribution to the Critique of Political Economy’, Marx and Engels Collected Works (vol. 29; Moscow: Progress Publishers, 1859 ), pp. 257-417 (264). See especially Friedrich Engels, ‘Letters from Wuppertal’, Marx and Engels Collected Works (vol. 2; Moscow: Progress Publishers, 1839 ), pp. 7-25. Engels speaks of the passages in Krummacher’s sermons where ‘he speaks of the contradiction between earthly riches and the humility of Christ, or between the arrogance of earthly rulers and the pride of God. A note of his former demagogy very often breaks through here as well, and if he did not speak in such general terms the government would not pass over his sermons in silence’. Engels, ‘Letters from Wuppertal’, 15. ‘As a student he was involved in the demagogy of the gymnastic associations, composed freedom songs, carried a banner at the Wartburg festival, and delivered a speech which is said to have made a great impression. He still frequently recalls those dashing times from the pulpit, saying: when I was still among the Hittites and Canaanites’. Engels, ‘Letters from Wuppertal’, 13. For example, ‘We too attack the hypocrisy of the present Christian state of the world; the struggle against it, our liberation from it and the liberation of the world from it are ultimately our sole occupation’. Engels, ‘The Condition of England: Past and Present by Thomas Carlyle, London, 1843’, 462. See also Engels, ‘The Condition of England. I. The Eighteenth Century’, 469-76, 486; Engels, ‘The Condition of England II: The English Constitution’, 501-4, 510, 512; Friedrich Engels, ‘Anti-Dühring: Herr Eugen Dühring’s Revolution in Science’, Marx and Engels Collected Works (vol. 25; Moscow: Progress Publishers, 1877-78 ), pp. 3-309 (16, 22, 26, 40-1, 62, 67-68, 79, 86, 93-99, 125-26, 130, 144, 232, 244, 300-4). Engels, ‘Progress of Social Reform on the Continent’. Karl Kautsky, Communism in Central Europe in the Time of the Reformation (trans. J. L. Mulliken and E. G. Mulliken; London: Fisher and Unwin, 1897); Karl Kautsky, Vorläufer des neueren Sozialismus I: Kommunistische Bewegungen im Mittelalter (Berlin: Dietz, 1976 [1895-97]); Karl Kautsky, Vorläufer des neueren Sozialismus II: Der Kommunismus in der deutschen Reformation (Berlin: Dietz, 1976 [1895-97]); Karl Kautsky and Paul Lafargue, Vorläufer des neueren Sozialismus III: Die beiden ersten grossen Utopisten (Stuttgart: Dietz, 1977 ); Roland Boer, ‘Karl Kautsky’s Forerunners of Modern Socialism’, Chiasma: A Site for Thought 1, 1 (2014). Friedrich Engels, ‘The Peasant War in Germany’, Marx and Engels Collected Works (vol. 10; Moscow: Progress Publishers, 1850 ), pp. 397-482. Friedrich Engels, ‘Bruno Bauer and Early Christianity’, Marx and Engels Collected Works (vol. 24; Moscow: Progress Publishers, 1882 ), pp. 427-35; Friedrich Engels, ‘The Book of Revelation’, Marx and Engels Collected Works (vol. 26; Moscow: Progress Publishers, 1883 ), pp. 112-17. Friedrich Engels, ‘On the History of Early Christianity’, Marx and Engels Collected Works (vol. 27; Moscow: Progress Publishers, 1894-5 ), pp. 445-69. Engels, ‘Introduction to Karl Marx’s The Class Struggles in France’, 523. Engels also has some criticisms of the early Christians, especially the point that they tended to focus on other-worldly salvation, but he was fully aware that Christianity makes this-worldly claims as well. Karl Marx, ‘Record of Marx’s Speech on the Seventh Anniversary of the International’, Marx and Engels Collected Works (vol. 22; Moscow: Progress Publishers, 1871 ), pp. 633-34 (633); Karl Marx, ‘On the Hague Congress: A Correspondent’s Report of a Speech Made at a Meeting in Amsterdam on September 8, 1872’, Marx and Engels Collected Works (vol. 23; Moscow: Progress Publishers, 1872 ), pp. 254-56 (255). See also Karl Marx, ‘Marx to Ferdinand Domela Nieuwenhuis in the Hague, London, 22 February 1881, 41 Maitland Park Road, N.W.’, Marx and Engels Collected Works (vol. 46; Moscow: Progress Publishers, 1881 ), pp. 65-7 (67). Engels, ‘Anti-Dühring: Herr Eugen Dühring’s Revolution in Science’; Friedrich Engels, ‘Socialism: Utopian and Scientific’, Marx and Engels Collected Works (vol. 24; Moscow: Progress Publishers, 1880 ), pp. 281-325. Engels, ‘Anti-Dühring: Herr Eugen Dühring’s Revolution in Science’, 27; Engels, ‘Socialism: Utopian and Scientific’, 305. The writer is a left-winger from Australia, based in the industrial city of Newcastle. His main interest concerns the intersections of Marxism and religion, having written a five-volume series called The Criticism of Heaven and Earth (Haymarket, 2009-13). He has recently completed a long study on Lenin and religion. He frequently visits Asia and teaches at Renmin University of China (Beijing).